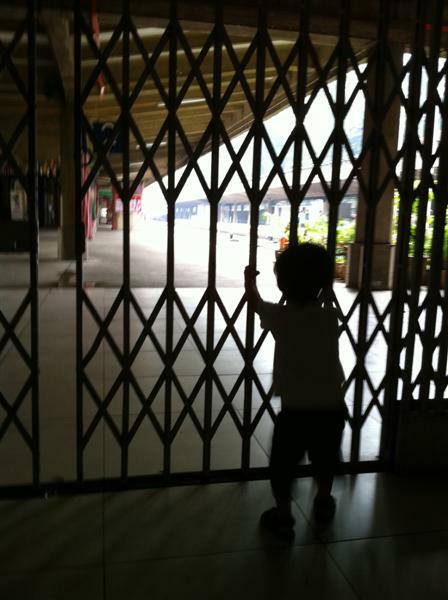 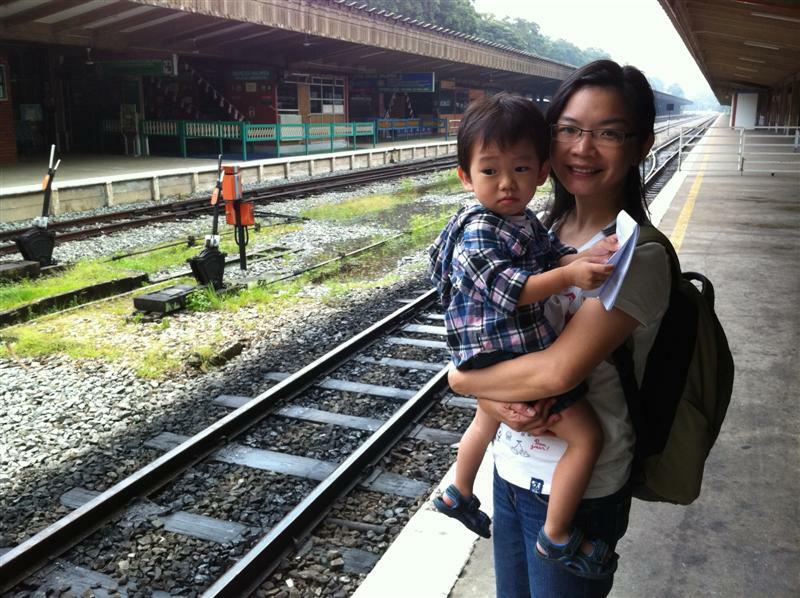 Knowing that the railway is closing soon… our family and the Tham family make a first (for the kid) and the last visit to the Tanjong Pagar Railway station. 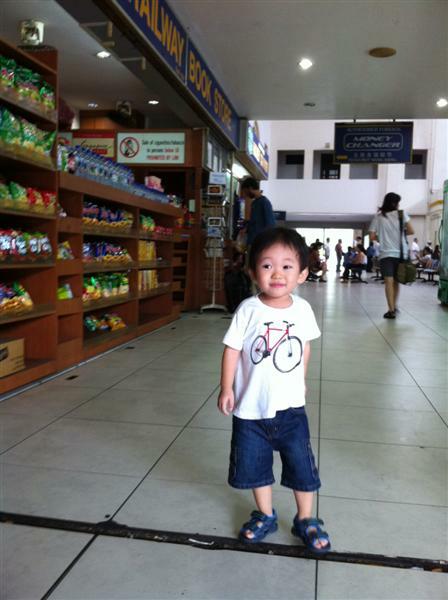 Posing with the Ma-Ma Shop..
Oh where’s the train? 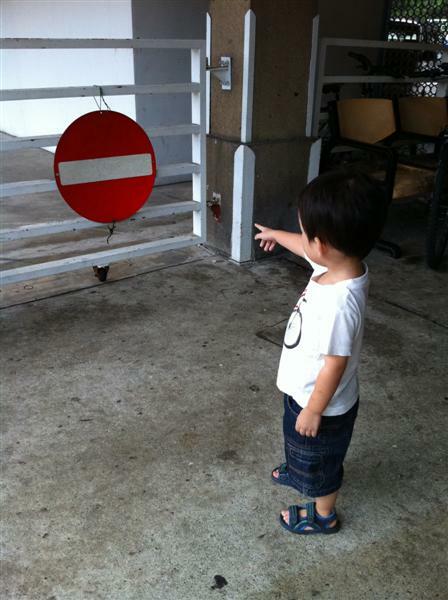 Is it coming? 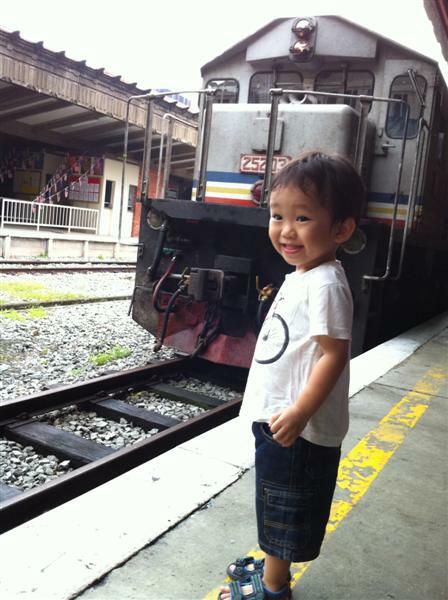 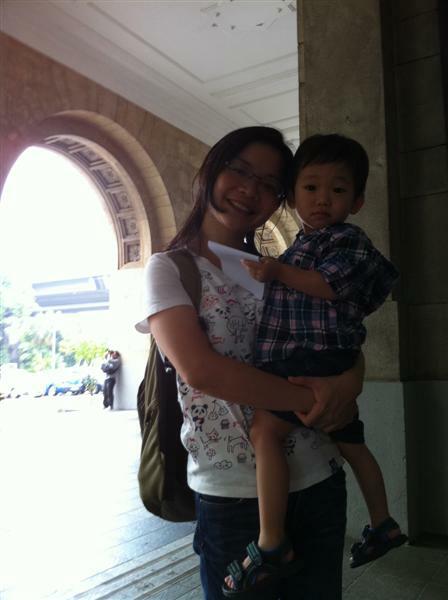 Let’s take a photo while waiting for the train. 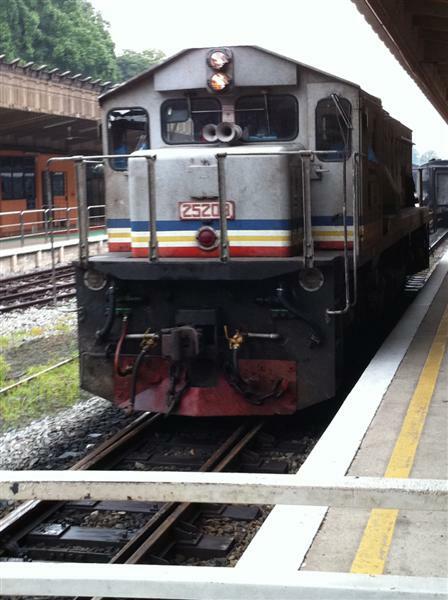 Bye Bye Train… Bye Bye Railway Station..